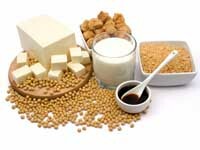 Many Americans end up avoiding dairy products, which are an important source of calcium, vitamin D and other key nutrients, because they "erroneously" think that they are lactose intolerant, a panel of experts concluded on Wednesday at the National Institutes of Health conference. Experts have stressed that definite estimates of the prevalence of the intolerance condition are lacking, as medical studies tend to have different interpretations of the problems, a though shared by panel in its concluding statement, which can be read online at consensus. nih. gov. "I think that there are huge gaps in knowledge", Panel Chairman Frederick Suchy, a Pediatric Liver Specialist at the Mount Sinai School of Medicine in New York, said. Lactose is the sugar found in the milk of humans and cows, and Mr. Suchy said that only Northern Europeans and their descendants, who have a long history of raising cows and consuming such dairy products on regular basis, usually tend to maintain their ability to digest lactose into adulthood. Panelist Marshall Wolf, a Harvard Medical School internist in Boston, stressed that lactose intolerance is not like a food allergy and eliminating dairy products is not the answer, as it can be detrimental to health. "It's not something where a little bit of milk is going to make you very sick", he said.